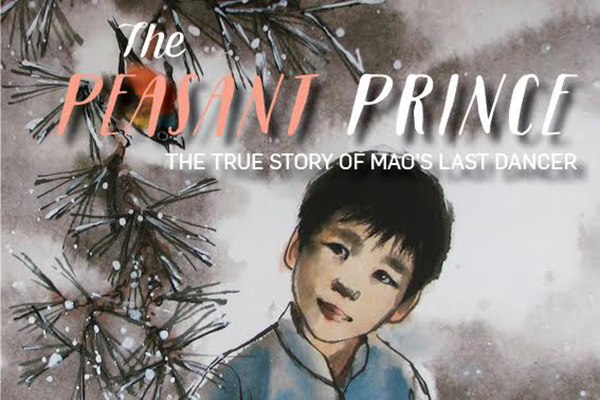 This school holidays, Sydney’s Monkey Baa Theatre will premier The Peasant Prince, a stage adaptation for kids of the book Mao’s Last Dancer. Mao’s Last Dancer is the autobiography of Australian-Chinese writer Li Cunxin, who was plucked out of a life of abject poverty and manual labour by the Chinese Communist Party to become a ballet dancer at age 11. He went on to become a celebrated professional dancer, famous around the world. The Peasant Prince follows Li Cunxin’s story from his life in rural Northern China to studying ballet at an elite dance school in Beijing. A visit from a famous American ballet teacher changes everything for Li and his family. The man behind the story, Li Cunxin himself, sees the tale as a way to show kids that with “hard work, dedication and determination, anything is possible”. The Peasant Prince will be performed at Monkey Baa Theatre in Sydney from 11 April to 20 April, 2016, and makes a brilliant school holidays show for kids aged six and over. Following the Sydney shows, The Peasant Prince will tour 38 Australian venues across the country.